Powerinbox creates tools for maximizing email monetization. With Powerinbox, publishers and marketers can offer their clients a person-to-person experience at any scale, on a simple, yet sophisticated platform. 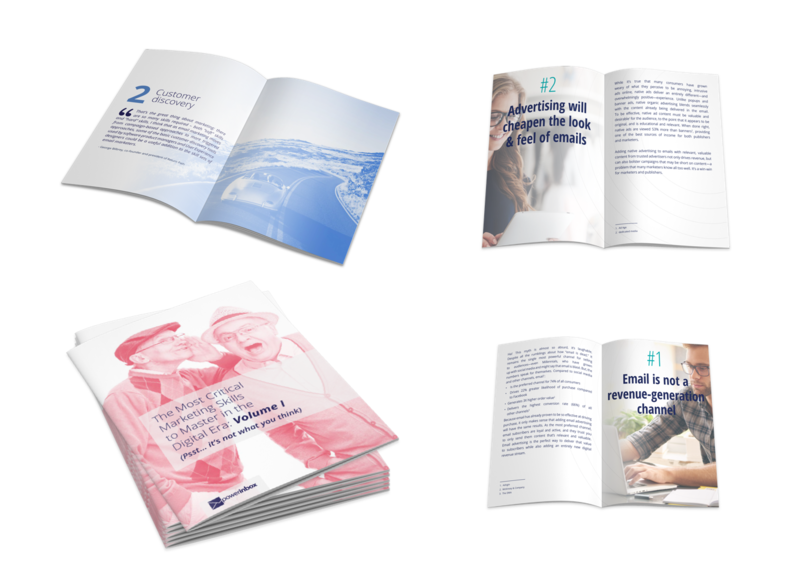 Our work with Powerinbox included design of various marketing materials as well as strengthening the brand language with a custom colour palette and consistent typographic rules. As part of Powerinbox’s own marketing strategy we created an original mascot: Cammy, the world’s most powerful chameleon! Cammy can take many forms and serve different purposes, representing the brand on various marketing materials in conferences and online. As a brand mascot, Cammy has been praised for being likeable and memorable for its quirkiness and humorous charm. With Cammy we launched an updated color palette and an icon set, which presented the variety of dynamic tools that Powerinbox offers marketers. Another important element in our work with Powerinbox was the design of numerous E-books. These E-books, written by experienced online marketers, included case studies, tips, long form articles and interviews, that establish Powerinbox’s authority and dominance in its field. 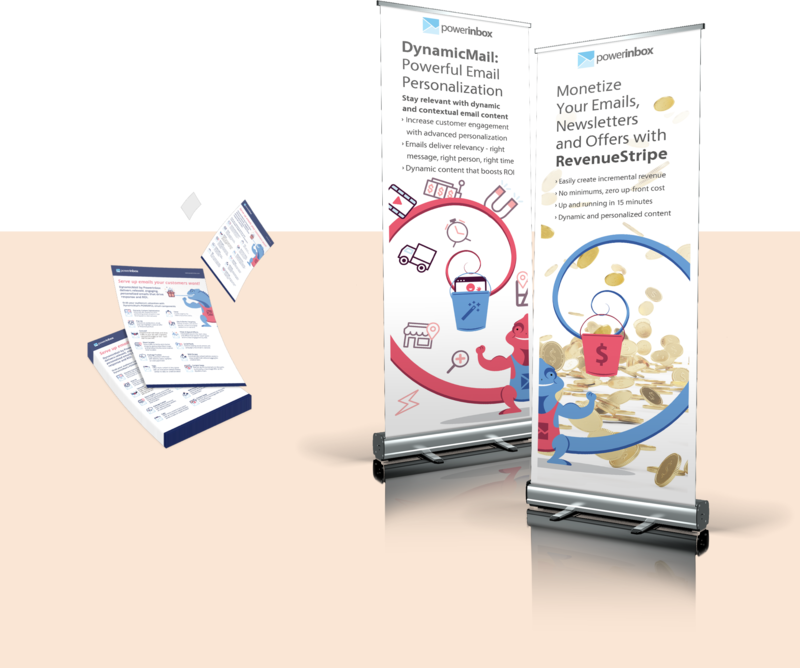 In addition, we also designed conference booths and other marketing materials (rollups, flyers, brochures and web ads) – all incorporating the brand DNA as we defined it.